Everyone knows we’re huge car camping fans. But, sometimes packing and planning a car camping trip can become too much about the logistics and essentials. So much that it’s easy to forget about the fun stuff. 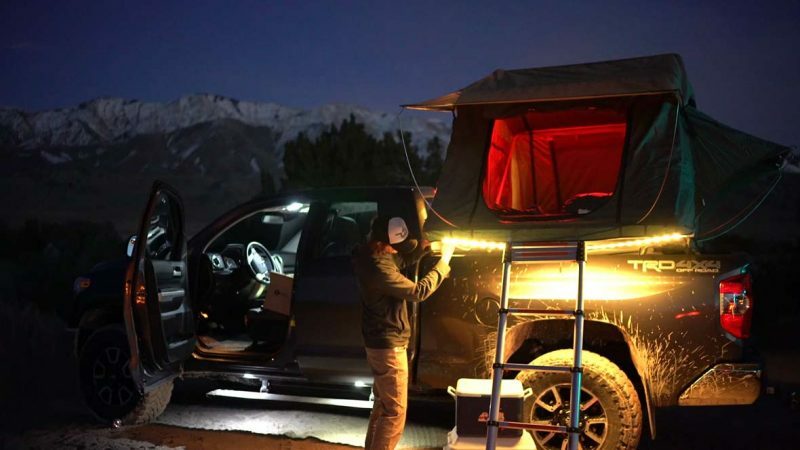 The entry-level Luminoodle Light Rope is intended to be functional because, well, light is important when you’re camping in the dark. But, the Luminoodle Color ups the ante by adding a bit of splash and (wait for it …) color to the campsite. The Luminoodle Color is 5 feet of waterproof, flexible, ultra-bright light that you can use in nearly any situation. From camping to your home or even the next music festival, the Luminoodle Color will take your nighttime activities to the next level. String lights are nothing new. But Power Practical has added a few clever features to the tried-and-true string light design that actually make them both functional and fun. They’re designed to be hung pretty much anywhere. Built-in slider magnets are incorporated into the cable so they’re easy to mount inside your tent, to the side of your car, or along the hatch of your wagon or SUV. We love the latter as it provides for actual useful lighting when we’re tailgating and hanging out in the back of the 4Runner. If you don’t happen to have a metal spot to mount them (unlikely), noodle ties and quick straps are also included. All of these options allow you to mount the Luminoodle string lights pretty much anywhere. They can also be gathered up into the included stuff sack to create a soft-sided “Noodle Lantern” (our words, not theirs). The entire kit is also waterproof so if you accidentally leave it outside in an overnight deluge, no worries. Luminoodle Color String Lights – Great Tent Light! The basic Luminoodle is cool and all, but we much prefer the Luminoodle Color version. It offers 500 lighting scenarios, including 15 color options, 3 white modes, 10 dimmer settings, and 3 fade/strobe fade modes. 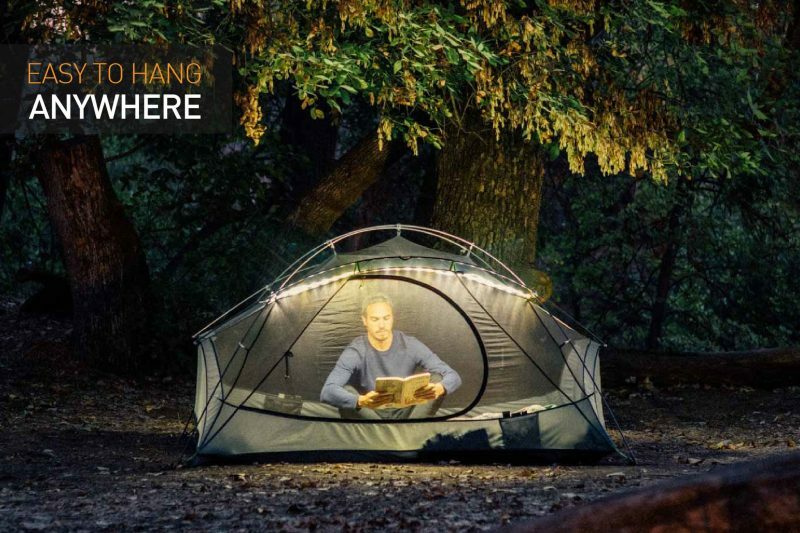 So your campsite mood lighting can be everything from “romantic” to “functional” to “super-crazy-disco-party-hour.” It’s your call. And, it’s easily controlled by an inline switch built into the Luminoodle’s cable or via a wireless RF remote. Lastly: the power. The Luminoodle is universally powered by any 5V, 1A USB port. This could be from a wall outlet, a car cigarette lighter, or a portable battery back. The latter is a $10 option. The Luminoodle Color light rope is available now for $29.99 USD via Amazon. Or make it a complete kit (with a lithium 4400 battery good for 30+ hours of power for the Luminoodle) for $10 more. Disclosure: Vagabondish was provided one complimentary Luminoodle Color from Power Practical in advance of this post. Read our view on sponsored content.